Well that holiday party just popped up on your calendar and you got to get that sports coat out of the closet and try to look decent for a change. So you pull that bad boy out that you haven’t worn in over 6 months and VOILA! Full of wrinkles in the back and the sleeves. Freaking Great! Okay cowboy, let’s figure this out. Here are some suggestions for how to get wrinkles out of a sports jacket. To be honest there aren’t really that many options but you have more than one so that’s a good thing. Let’s run through some of these and talk about how hard they are and how much they cost. Some of these you can take care of yourself but of course it takes effort and time on your part. My favorite doesn’t take much effort on your part but it does require money and it takes a day or two. So like anything else in life there’s pluses and minuses to each and it depends on how much time and or money you have as well as if you just want to bang it out yourself. 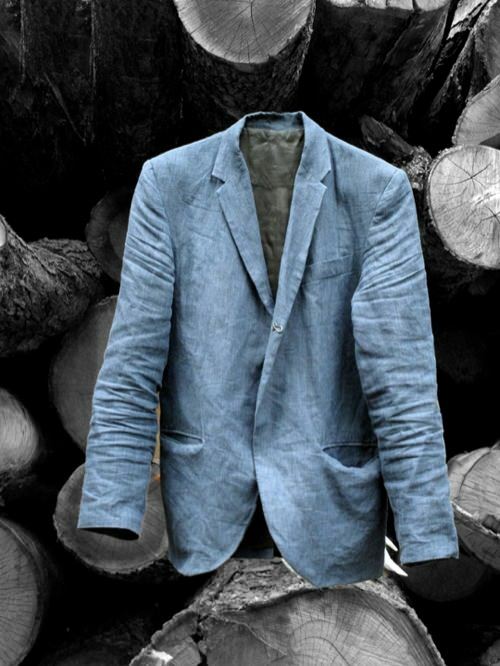 Here’s a few ways to get wrinkles out of a sports jacket. Dry Cleaners – so this one is my favorite because, well, I don’t have to do it. It does require time and money because you have to get in your car and drive the jacket to the dry cleaner. You also need to pick it up and pay for it. Therefore it will cost you 2 car trips and some coin. Last time I had the dry cleaners steam mine it cost me $8. This is a good option if you aren’t in a hurry (like you don’t need it that night or the next day) and you don’t mind paying the money and you don’t mind making the trip. I don’t make special trips but the dry cleaner I use is right next to the grocery store I shop. Steam It Yourself – I know a few guys who have their own steamer and they swear by it. I’ve just never bought one because I don’t wear suits or jackets that often. Now that I’ve been wearing them more I might invest in one. With a steamer your basically put some water in it, plug it in, and while keeping the steamer 1″-2″ away from suit wave it over the wrinkled spots. This is a pretty easy way of getting the wrinkles out and once you purchase the steamer, it’s pretty cheap. Simply takes a little effort and time. Blow It – I have never tried this one but have a couple of guy friends who say it works decent in a pinch and you are out of options. 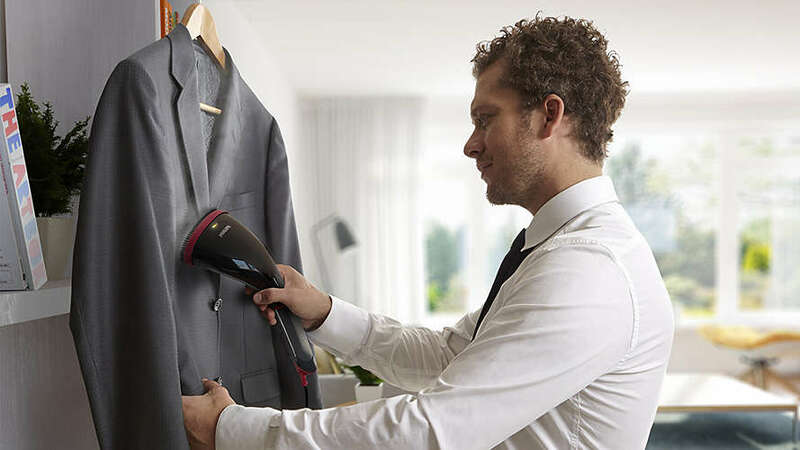 Hang your jacket on a hanger and turn your hair dryer on the highest setting. Simply point the hair dryer at the wrinkled spot and go back and forth for 5-10 minutes until the wrinkles relax and become less pronounced. This is a pretty easy way to get wrinkles out of the sports jacket. I’ve heard this works “okay” but not great. The nice thing is it’s free and quick though. So if you have to leave in 20 minutes and are just now realizing that your jacket is wrinkled, this might be the way to go. Take A Shower – This is about the easiest way there is but the trade off is that it’s the least effective (in my opinion). All you have to do it so have the jacket on a hanger in your shower room. Turn on the shower pretty hot so that it creates a lot of steam. You have to generate a lot of steam for this to work and it has to be a long shower. 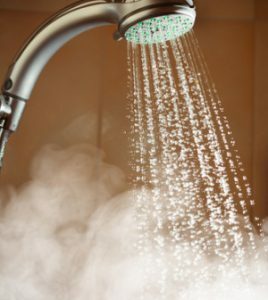 The longer you can keep the hot steam coming, the better your results will be. A general rule of thumb is to have the shower running for a good 20 minutes to get out most of the wrinkles. I’ve tried this and I’m not a huge fan but it’s better than nothing. Saw Screw It – This method is the easiest, cheapest, and fastest. The short version is to take a long look at the wrinkled jacket and say “screw it”. So if you’ve forgotten to check the jacket or suite and you have to leave the house if 5 minutes because you’re already late and you don’t have any other options and you really don’t care if it’s wrinkled or not, this ones for you. Personally I like to be more relaxed at work whenever possible. When I don’t have to impress anyone it’s usually jeans and a golf shirt. 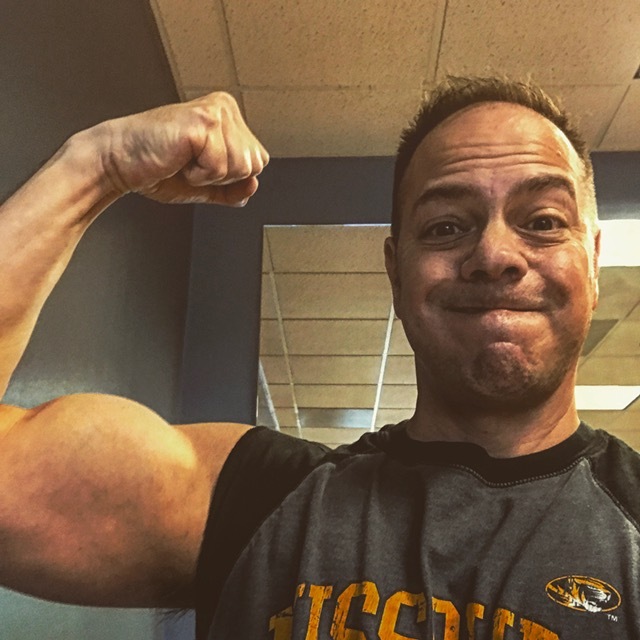 I do have to get a bit dressier on a regular basis and of course there are things like holiday parties and weddings and dressier social events that it’s always fun to clean up nice for. This is a good time to wear a jacket whether you’re pairing it with slacks or jeans. And now you’ve got a few ways to get those wrinkles out of that sports coat. I’d love to hear any other ideas you have as well. I’ve never heard of taking a jacket ‘to the shower’ to get the creases out of it. This sounds like a cost-effective way to do so especially as my son can spend hours in the showing – I could hang a few items in there while he’s showering. Will this work for any material? I have a linen jacket which is so easy to get crushed and when it gets wet it loses its shape easily. Would you recommend I use the shower room method for linen? Thanks for sharing, appreciate your thoughts. I do think that a shower would be the best place to start for linen. IF that doesn’t work then you could try the steamer. Let me know how it turns out! I did not wear jacket until recently I got one myself. Be honest here, I really HATE those wrinkles because it made me looks like a nerd. I am thinking of buying myself a steamer that you mentioned. Do you know any particular brand that is good ? Thanks for stopping by! I hate those wrinkles too, kind of makes me dread having to wear a suite or a jacket sometimes simply because the jacket is wrinkled. Check out the Conair ExtremeSteam, it’s lower priced at $59 and I think it does a great job. Cheers!